This is a special limited-time offer for the Helium 10 audience to test your ecommerce marketing and product decisions. "PickFu.com is where I go when I want to quickly split test Amazon product images to actual Amazon Prime customers, and know which images customers prefer, before I make my product listing live. I get results within 1 hour with detailed 'reasons why' they voted a certain way. This has the potential to save thousands of dollars in lost sales from choosing the wrong image." Give yourself an unfair advantage. 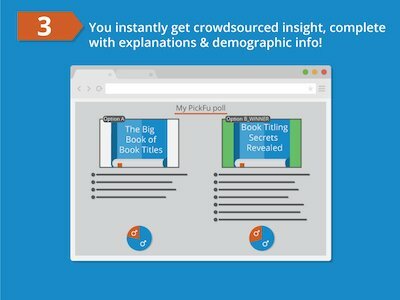 Let PickFu's audience polls help you make data-driven decisions with unbiased feedback! Discover the design that resonates best with your audience. Find the image that will sell your product. Send an email to your friends and family with the different ecommerce products and ask for their feedback. Create a Google Ad or Facebook Ad for all the different ecommerce products and see which one has the highest click-through rate (CTR). 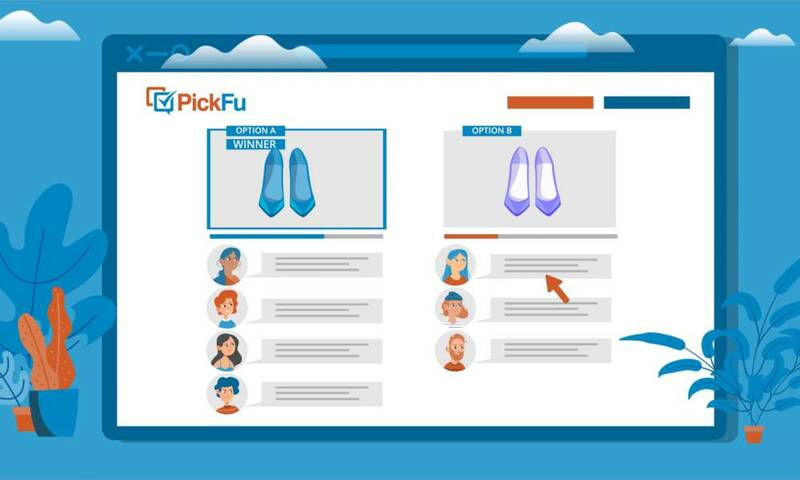 PickFu gets you the same quantitative and unbiased results as buying expensive ads, but much faster and without any of the hassle of trying to figure out how to setup the ads. As a bonus, you get written qualitative feedback you can use to further iterate on your ecommerce products. Armed with this data, you will have the confidence to choose the best ecommerce product. 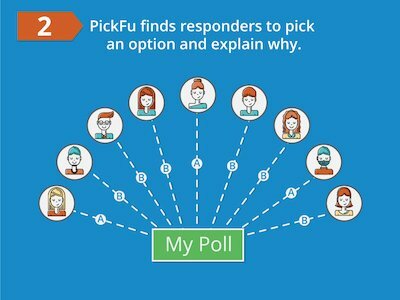 Why use PickFu for your Ecommerce Business? 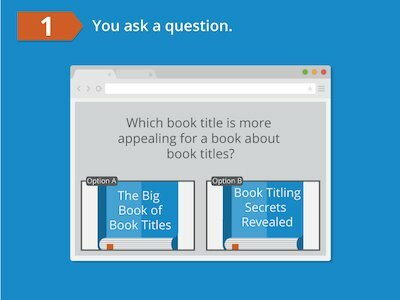 Just write one question and two answer options and your ecommerce product poll is ready to go. Our respondents match US demographics, so you get balanced, unbiased results for your ecommerce product. Keep iterating on your ecommerce product throughout the day as you instantly get feedback you can use. Get an objective third-party point-of-view on your ecommerce product. Learn the why behind each response and make better ecommerce product decisions going forward.